Best Health Accessories Archives - Simple. Quick. When you’re struggling with your heart health, the last thing you want to do is deal with complicated monitors and devices at home. You’re looking for simplicity to ease the stress that you’re under and have your day run smoothly. No one wants their daily lives to revolve around checking their blood pressure and being diligent about relieving stress. That’s why you need Care Touch Fully Automatic Wrist Blood Pressure Cuff Monitor, which is part of their Platinum Series. Coming fully equipped with batteries, this handy tool is simple to use and doesn’t have any complicated buttons and features. Anyone can use this, no matter how much knowledge they have of technology. Checking your blood pressure at home should be a quick and easy process. You don’t want to waste time reading a large instruction manual just to understand how to work it properly. You’re an intelligent person, but you may not be a trained doctor that can easily handle overcomplicated functions. Care Touch Fully Automatic Wrist Blood Pressure Cuff Monitor has a large, backlit display which makes everything easy to view, so you don’t have to struggle if you wear glasses or you just don’t feel like squinting today. Put this device right on your wrist, and see how quickly it gives you a reading. You’ll know your numbers in less than a minute with unparalleled accuracy. Your time is valuable, and once you get your reading you’ll have the rest of the day to spend time with family or rekindle your love for your hobbies. 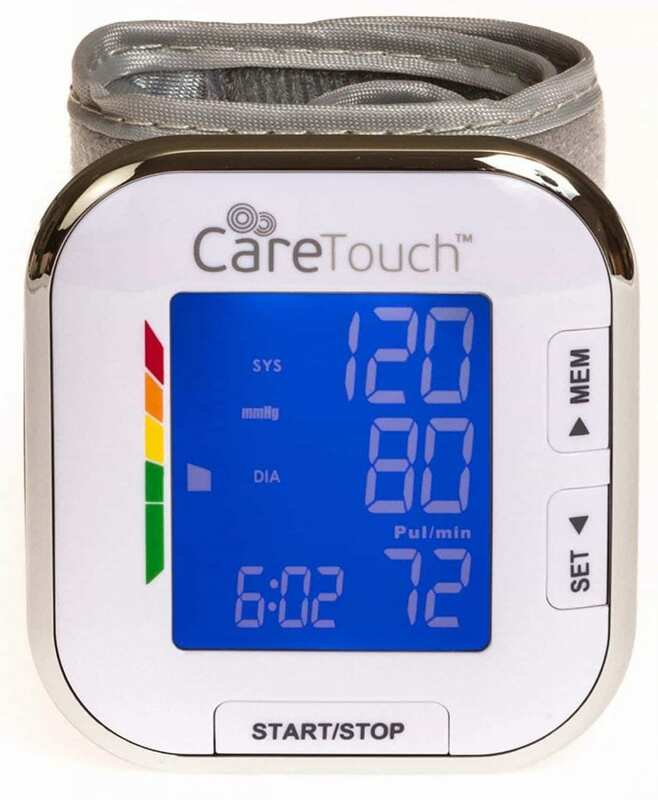 Furthermore, Care Touch Fully Automatic Wrist Blood Pressure Cuff Monitor is not big and bulky. You don’t have to hook yourself up to machines, tubes, or pumps. Just slip it right on your wrist and press the button. It almost feels like you’re wearing a watch, so you shouldn’t feel uncomfortable, and before you know it the reading is complete. In addition, this device will detect any irregular heart activity. The symbol will quickly show up, leaving no question about why it’s beeping. Feel comforted by the reliability of a thorough reading. Care Touch Fully Automatic Wrist Blood Pressure Cuff Monitor is simple and convenient, and stores data for up to sixty previous readings. Keep track of your activity and make note of any unusual patterns. Be in control of your heart monitoring, and help your family feel secure that you’re taking care of yourself while living a full life. 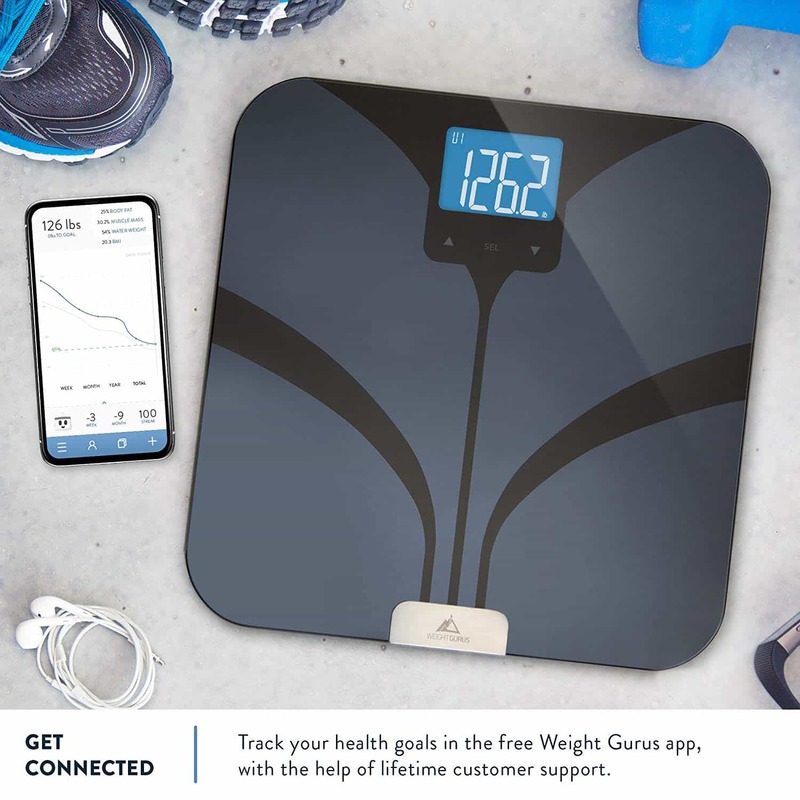 Devices like this are ready to make your life a little more stress-free. Since it’s small enough to take anywhere, you never have to worry about inconvenience. Be at ease knowing that you don’t have to go to the doctor every time you want to check your heart, because you have a powerful wrist cuff in the palm of your hand. Be comfortable wherever you use it, whether you prefer lounging at home or spending your days in the sunshine. Don’t lose who you are and your daily routine just because of your heart health. Regain the independence you’ve been craving thanks to the simple to use Care Touch Fully Automatic Wrist Blood Pressure Cuff Monitor. Pain isn’t something that we volunteer to go through. There is no one that you know that will volunteer to go through pain. The problem with our bodies is that there are so many things that can cause our bodies to go through pain. Bones ache, muscles ache, nerves get pinched. We get bumps, bruises, twists, fractures, and breaks. And the beautiful thing about how we are created is that our bodies are able to heal and get better. Sometimes, that pain still lasts, and the effects do not go away, and we as humans looking for relief from pain could definitely use something that provides that for us. In similar respects, one of the things that our bodies often experience is discomfort. We live in a culture that not only keeps us running 24/7, but we often find ourselves living in uncomfortable positions in our busy daily lives. Hard chairs, long lines, cramped seats. We deal with gravity, pushes, pulls, stretches, and compacted situations. The thing about discomfort is that it takes away our focus and our time because we spend that trying to find ways to actually be comfortable. With those two issues of pain and discomfort, our bodies go through a lot, and thankfully, there is something out there that can help provide just what your body needs in these common situations. That something is a simple solution from Everlasting Comfort Memory Foam Luxury Seat Cushion. Everlasting Comfort Memory Foam Luxury Seat Cushion will do miracles in helping you with the pain and discomfort that you may feel. Design. 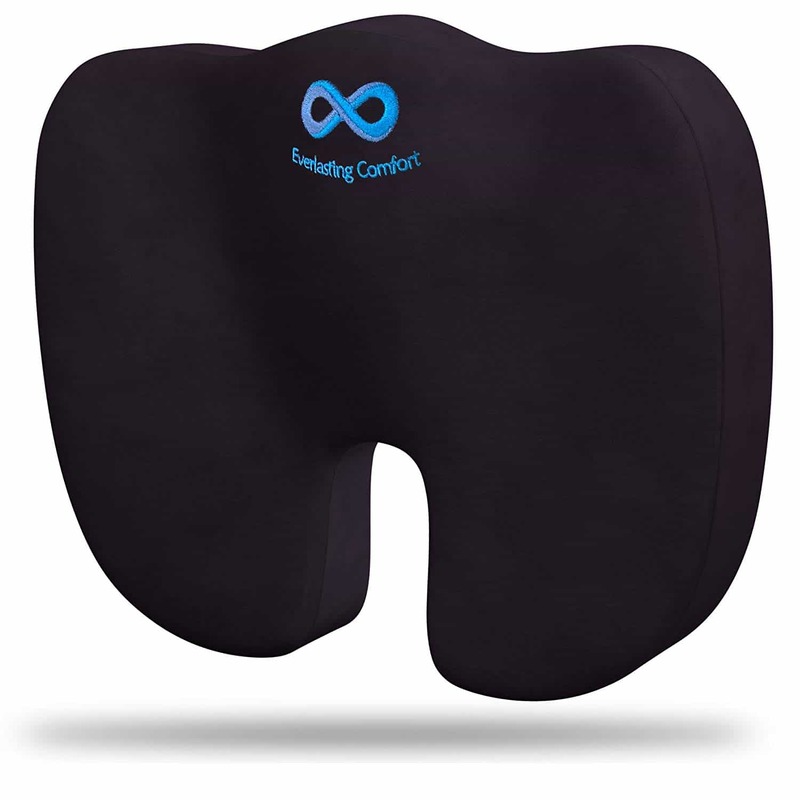 The unique shape of the product is specifically design to target and conform to areas of your back and bottom to position your body in a way that maximum relief is provided. Material. The memory foam is so absorbent that any pressure that has been put into your problem areas with immediately lessen. This takes care of the constant pain or discomfort that you have been receiving. Mobility. The fact that you can take this anywhere you are going to be is key. Not only will this product go anywhere with you whether, work, vacation, home, etc., it can also be applied on various areas of the body. Whether you have back pain, sciatic nerve, or tailbone pain, Everlasting Comfort Memory Foam Luxury Seat Cushion has got you covered. Relief for your situation. Work injury? Pregnancy discomfort? Pulled a muscle? This will work for you. It doesn’t matter what situation that you are in, you can find the relief that you need thanks to Everlasting Comfort Memory Foam Luxury Seat Cushion. So, picture it. Picture your pain finally going away and leaving you alone for once to do what you love to do. Picture your discomfort saying goodbye instead of causing you to shift positions or look at different medications for relief. Picture Everlasting Comfort Memory Foam Luxury Seat Cushion helping you by giving you the relief that you need. After all, it’s your life. You need to live it pain and discomfort free. Creating the perfect environment for you and your loved ones doesn’t need to be anything fancy. In fact, all you need to do is look at filling the space around you with familiar scent and comforting mist, and everywhere you go will feel like home. The perfect companion to help you get that for yourself is the VicTsing Cool Mist Humidifier Ultrasonic Aroma Essential Oil Diffuser. This quality-made product is going to help you find relief from stress by offering you soothing essential-oil filled air. It’ll also help you make the most out of yoga or other exercise by offering aromatherapy while you move. This diffuser is also going to be great for moisturizing your skin, purifying your air, and even serving as a nightlight to help keep the atmosphere going at all hours. With a large 300ml water reservoir available, and 14 great light colours and 15 soothing LED lighting modes to choose from, this is a must-have add-on to your home. Choose from 1 hour to continuous misting for control over your environment as well. This is a great option for the home that is focused on bumping up their look and feel with a quality device. There are so many products on the market these days that are vying for your attention, that it only makes sense that you are skeptical on what to believe. 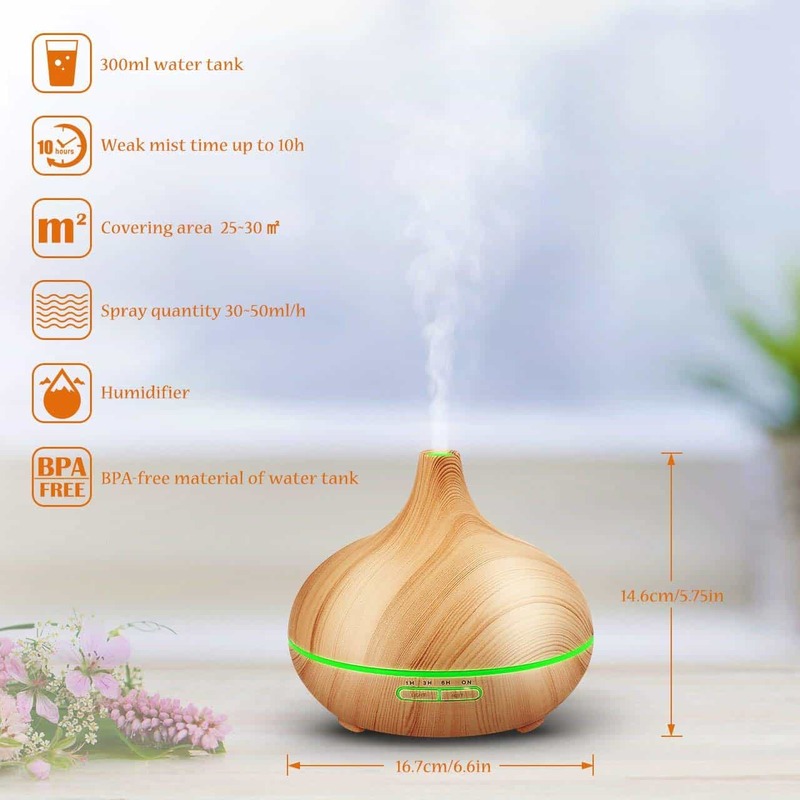 It’s hard to trust what you’re reading and take it at face value, but the best way to see how this VicTsing Cool Mist Humidifier Ultrasonic Aroma Essential Oil Diffuser is going to be perfect for you is by taking a moment to imagine it in your life. You get home after a stressful day where everyone is yelling and arguing and you just need to breathe for a moment. You add some water and a few drops of essential oil – perhaps lavender – and spend the next 30 minutes doing some calming relaxing yoga. It’s perfect for enhancing the overall calming effect that yoga offers. Or, you don’t have time for yoga and need to get some work done on the computer. Do the same thing, and you’ll find that stress will just melt away with the sweet smelling mist and the calming, smoothing light of the diffuser permeating the room. When your little one can’t go to sleep, this diffuser could be just the trick to use. It could help those little eyes drift shut with the calming soothing smell of their choice and a light pattern that is going to be both comforting and engaging so that they can drift off to a sweet sleep and get that important rest. If you’re battling dry skin, you’ll find that using one of these overnight is going to help you fight against it, too. You’ll wake up in the morning feeling calm and refreshed, and your skin will have that healthy glow that is going to convince you that this diffuser really is as good as it says. VicTsing Cool Mist Humidifier Ultrasonic Aroma Essential Oil Diffuser is perfect for helping you out in any and every situation.